Klayman: Don Jr. Is Right! Fox News Is Self-Destructing Fast! They Also Just Hired the Criminal Donna Brazile of CNN and Clinton Debate-Cheating Scandal Fame! Don Jr. Hits Fox News: Bob Corker Next? Donald Trump Jr., reacting to former House Speaker Paul Ryan, R-Wis., being named to the Fox Corp. board of directors, predicted former Sen. Bob Corker, R-Tenn. would be tapped to head the news division. 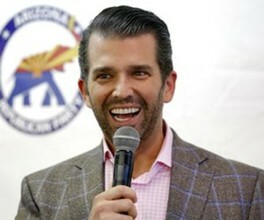 The jab by Trump Jr. came in a tweet posted by the president's son on Tuesday. He wrote: "Next up: Bob Corker will be tapped to head the news division." Corker was an outspoken critic of the president.